EU leaders have formally agreed that sufficient progress has been made in the first phase of Brexit negotiations to move the talks on. The EU withdrawal bill is making good progress. We're on course to deliver Brexit. We're on course to deliver on the vote of the British people. The European Commission said it is prepared to start discussing the framework of a future relationship between the EU and UK - particularly with regards to hotly debated areas such as security and trade. UK Prime Minister Theresa May told reporters that she was in Brussels "to talk with friends and allies about the threats we all face". "I'm very clear that although the British people took a sovereign decision to leave the EU, that does not mean we will be leaving our responsibilities in terms of European security," she said. However, some feel that ability to negotiate a deal for her country after it leaves the bloc has been compromised by Wednesday night's House of Commons vote. 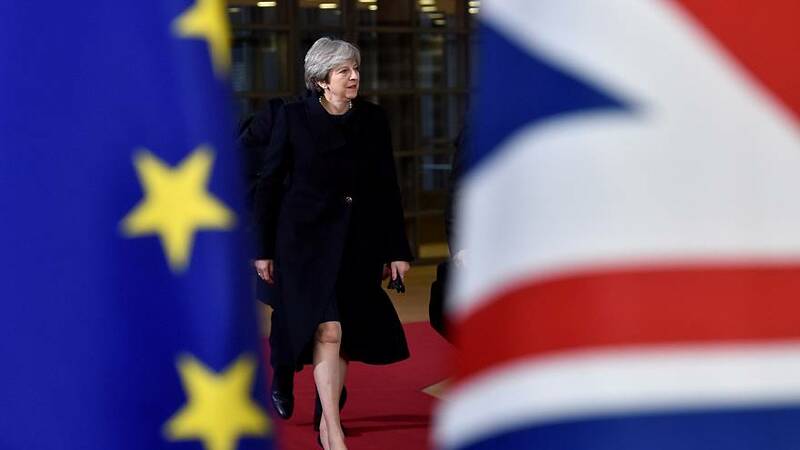 Speaking at a dinner on Thursday night, May told EU leader that she wants to prioritise reaching an agreement on the proposed "implementation period" , but also wanted to talk about trade "as soon as possible". She said she is personally committed to delivering a "smooth Brexit" and that she hoped negotiators would approach the next phase of talks "with ambition and creativity".